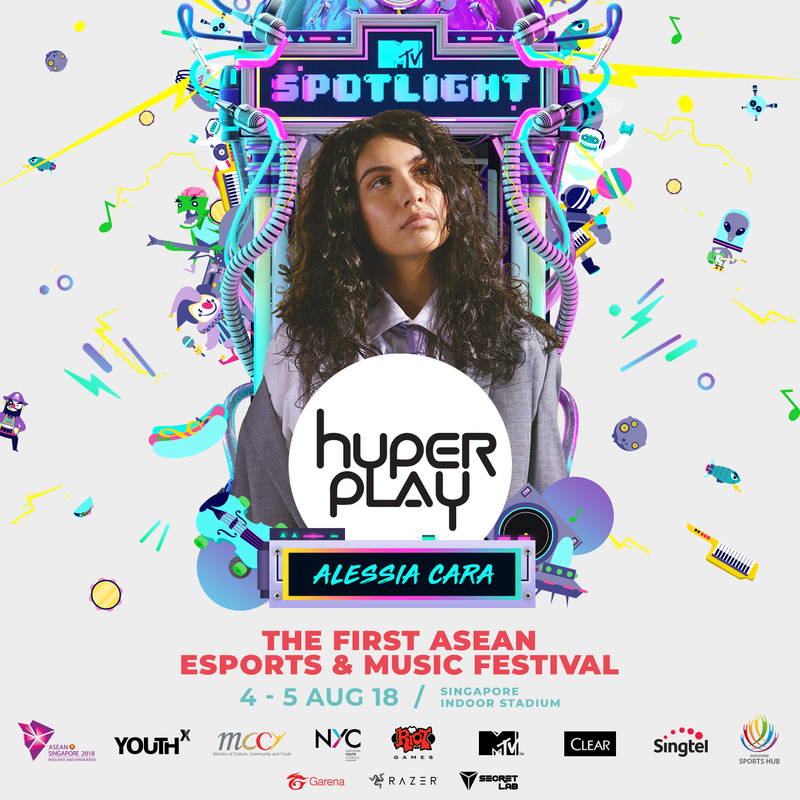 Hyperplay, the first integrated ASEAN esports and music festival, just got another massive dose of star power! Alessia Cara, the ‘Best New Artist’ at the Grammy Awards 2018, has been unveiled as the sixth and final act to rock the MTV Spotlight @ Hyperplay stage on Sunday, 5 August 2018 at the Singapore Indoor Stadium. Performing in Singapore for the first time, Cara will join five other acts who will display their musical prowess during the Hyperplay weekend. 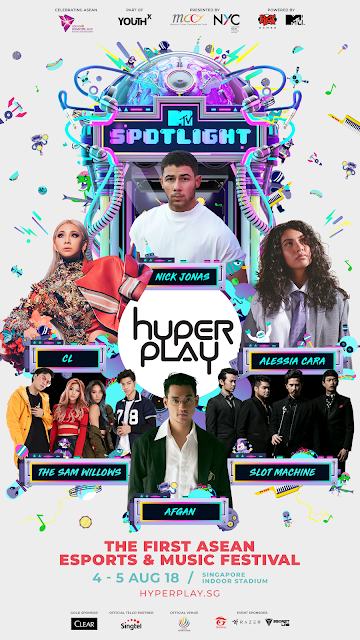 This includes superstar vocalist CL and four-member pop band The Sam Willows on 4 August, as well as leading rock band Slot Machine, pop idol Afgan and multiplatinum superstar Nick Jonas on 5 August. In celebration of ASEAN Singapore 2018 and part of YOUTHx , Hyperplay is powered by Riot Games and MTV, presented by the Singapore Ministry of Culture, Community and Youth (MCCY) and the National Youth Council (NYC) of Singapore, and supported by gold sponsor Clear Men and official Telco partner Singtel. Patrons will be able to catch full set live performances by all acts for the MTV Spotlight stage hosted by MTV VJ Hanli Hoefer. The two-day ticketed event will take place at the Singapore Indoor Stadium on Saturday, 4 August 2018 and Sunday, 5 August 2018. Under the guidance of their coach Leonard “OMO” Loh, Singapore’s representative Team Sovereign have built themselves to be one of Singapore’s strongest esports and League of Legends (LoL) teams, having won the last three major local LoL tournaments back-to-back. As we gear up to the first ever LoL ASEAN tournament on the Hyperplay main stage, be sure to cheer them on as they battle it out against nine other ASEAN teams for the title of ASEAN Champion, and make a name for themselves in the Asian esports scene. Hyperplay tickets are available here or via Hyperplay, with single-day ticket options available. Singtel customers will enjoy a 30% discount for tickets across all categories, from now till 4 August 2018. Stay tuned to Singtel’s Facebook page for more details. From 11 June – 8 July 2018, fans around ASEAN1 just need to complete a simple challenge each week. The most creative entry across the contest period will win the grand prize2 of a trip to Singapore comprising of a flight and accommodation package2 and a pair of coveted Hyperplay tickets to experience all the gaming and music action at Hyperplay in Singapore. Simply submit a photo or video entry related to the weekly challenge on Facebook or Instagram and tag #WitnessHistoryAtPlay and @hyperplayofficial. The best entries from each week will also stand to win mini prizes from League of Legends or MTV. So get online and get your access to Hyperplay. *This contest is open only to fans from the ASEAN countries. *The Grand Prize includes a pair of Economy class tickets, two-nights’ accommodation and a pair of Hyperplay tickets. Terms and conditions apply and can be found on Hyperplay website.